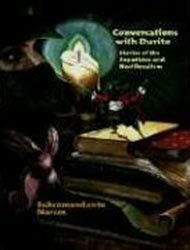 The ensuing output of Durito-related communiqués and tales comprise a broad discourse of the Zapatistas’ struggle, revealing their organizational history, their critique of traditional politics, and the reasons for their opposition to neoliberalism. These elements have helped make the Zapatistas an exemplary reference in the international movement against capitalist globalization. Conversations with Durito includes all the Durito stories issued to date, translated, annotated, and contextualized by the Ã�ccion Zapatista Editorial Collective, and illustrated by simpático artists. Poetic, humorous, and imaginative, these fables provide an excellent introduction to the politics of globalization from the radical perspective of indigenous struggle.